You are probably familiar with the iWatch, Apple's new smart watch. 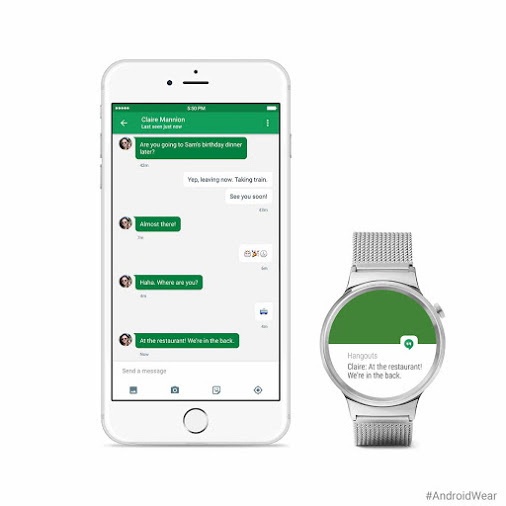 Google has introduced their own line of smartwatches, and they are compatible with the iPhone. The iWatch has an app that you can get on your iOS device as a fitness tracker and more. 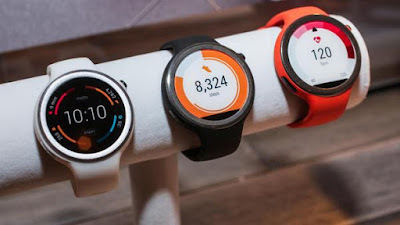 AndroidWear, Google's new wearable tech, also has similar features. Google wants to be able to cross-platform to make it easier for people.